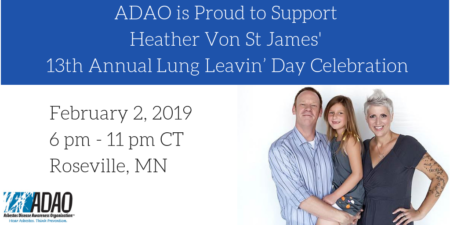 Heather Von St James, inspirational Mesothelioma Warrior, friend, is hosting her 13th Lung Leavin’ Day Celebration on February 2!  The event, which she and her family have organized over the last 12years, celebrates the day on which she underwent surgery for pleural mesothelioma. Take a minute and read Heather’s latest blog, “Lucky 13: Celebrating 13 Years of Survivorship,” to learn more about her life and work. ADAO is so proud of Heather and her family! We hope others are inspired by her initiative to make change happen. To learn more about this incredible woman, check out her Share Your Story, “The Value of My Life in Dollars and Tears,” and follow her “Heather’s Hope” blog. Join the Lung Leavin’ Day conversation and make donations by following Heather at @HeatherVSJ. Heather, we love you, your giving heart, and your VOICE!